We all know that this summer’s opening of the Wizarding World of Harry Potter – Diagon Alley is going to be a massive step forward for both the commercial success and theming sophistication of Universal Orlando, but what most probably don’t realize is that this second phase of the Wizarding World takes us literally only halfway through Universal and Warner Bros’s plans for the boy wizard at the resort. Curious as to what the next several years may hold? Admittedly, we are, too – we only have a few scraps of what’s going to happen, both from Central Florida Top 5 and a few of our private sources; Universal Creative is, apparently, playing this one very close to the vest. Still, in an effort to shine the brightest light yet on the mysterious subject, we’re compiling all currently-known information for your wizarding delight. 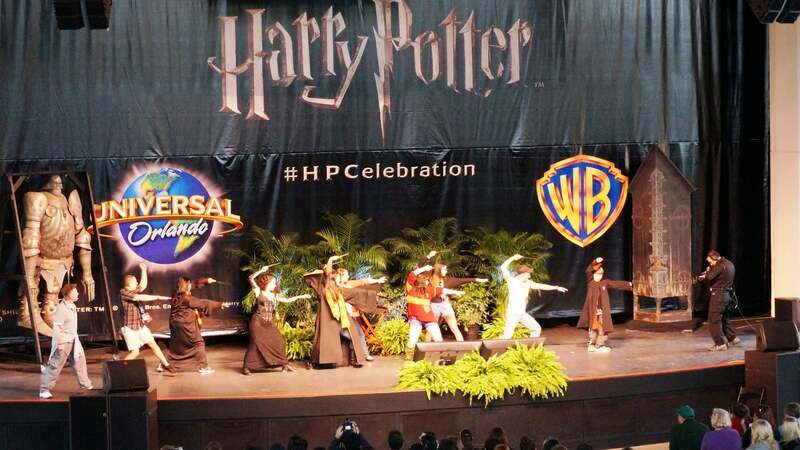 Diagon Alley opens, which will include an interactive wand component. Hogsmeade gets a renovation, consisting of: the closure of Zonko’s Joke Shop and the expansion of Honeydukes; the addition of Hogsmeade Station; and the replacement and/or upgrading of several storefronts to include interactive elements. The interactive wands will get expanded offerings, including more spell-casting locations (at all three Wizarding Worlds), more spells to use at each stop, and, just possibly, more wand types to choose from. Miss this at the Harry Potter Celebration earlier this year? Don’t worry – it’ll be permanent soon enough. This final (as of now) stage is easily the most nebulous, but it seems to be mainly comprised of an expansion at one, two, or, just possibly, all three Wizarding Worlds, in order to keep the lands fresh in terms of their appeal to guests and cutting-edge in terms of their tech. 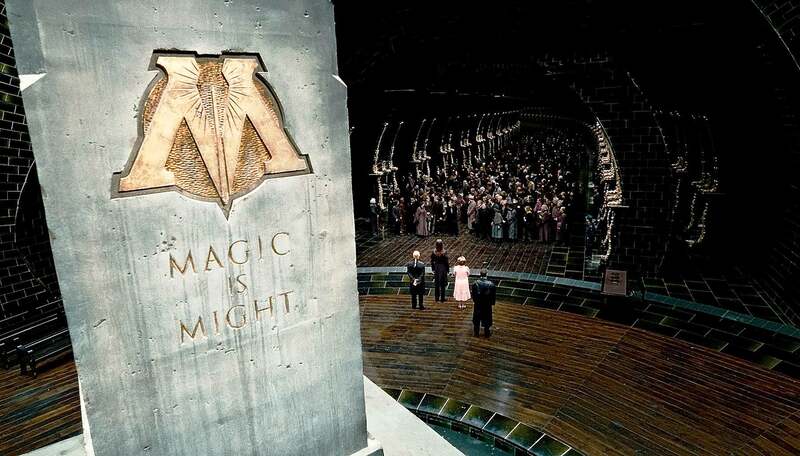 There is easily space enough for at least one or two additional attractions at either Diagon Alley or the Ministry of Magic, and there is always the possibility, no matter how remote, of Hogsmeade absorbing more or even all of Lost Continent. Additionally, it seems Universal is preparing the possibility of deploying even more interactive elements all across the wizarding spectrum. Earlier this month, Parkscope published a rather intriguing report stating that several different sources had come forward with information on what all those construction crews from Diagon Alley (and, just possibly, Cabana Bay Beach Resort, if they’re not heading to work straightaway on a fifth on-site hotel) will be moving on to next: Woody Woodpecker’s KidZone. The story goes a little something like this: all those previous rumors stating that the entire land will essentially be bulldozed are true, with the only two attractions left standing being the venerable E.T. Adventure and Animal Actors on Location. 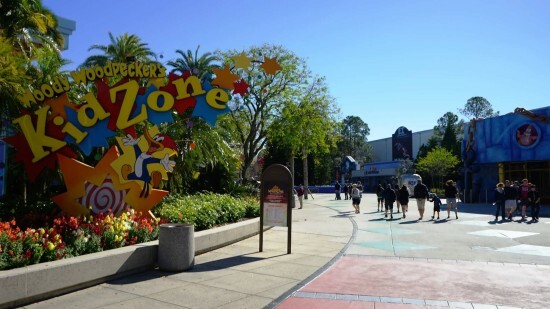 A new intellectual property – or properties – is set to replace KidZone, although there is still no clear idea of what this may be; having a patchwork of different licenses, as is the case with most areas in Universal’s theme parks, is very much on the table, but so is the possibility of making one wholly unified land, as Universal Studios Florida has already seen with Springfield USA and, of course, Diagon Alley. Woody Woodpecker’s KidZone at Universal Studios Florida. All we know so far is that the Parkscope crew has been told that this oncoming makeover will be “Potter-like,” which most likely references its overall scope and budget, but it could also possibly refer to an extremely high level of theming detail. 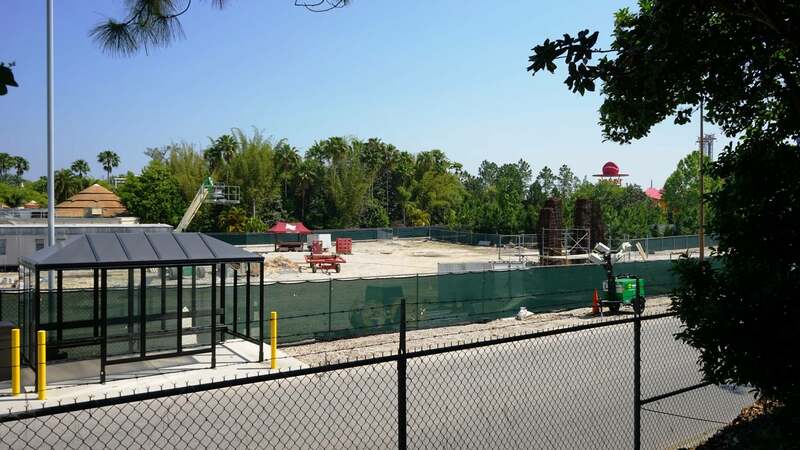 With construction work on KidZone reportedly set to begin this September, we now fully expect this to be 2016’s grand development (remember: Universal has promised to open at least one new ride per year). What about the project previously believed to bow in ’16 – King Kong’s Skull Island? It looks like that one’s now going to be fast-tracked the same way that last year’s Transformers was and will now open in 2015, pushing the Jurassic Park expansion out of the schedule, possibly for good (eek!). On the way from Cabana Bay to Universal CityWalk. 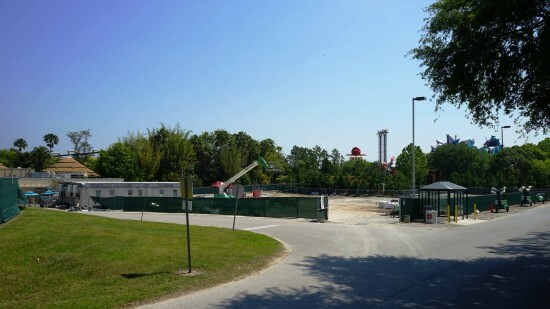 Rumored King Kong construction site in Islands of Adventure. The very beginning of Skull Island? To read background information about the Kong attraction and see exactly where these photos were taken on a map, visit this topic in the OI Forums. The fine gents at Parkscope have uncovered yet another permit, this time for a special VIP lounge in Diagon Alley. While we don’t know whether this will be the equivalent of the American Express lounge at the front of the park or not, we do know that it’ll be contained in Building 64D, which is where the Magical Menagerie shop and public conveniences are located. In case you haven’t noticed, Universal Orlando’s Dining at Diagon Alley page has been updated, which means we have our first official confirmation of what we reported on earlier this week: Florean Fortescue’s Ice-Cream Parlor will be offering “breakfast items and pastries” in the morning hours. And we guess this is a good thing, because we also got confirmation that the Leaky Cauldron will be open for lunch and dinner only. Also, Universal’s Shopping at Diagon Alley page has similarly been updated, resulting in something of a surprise for all of us grizzled rumor veterans: Wands by Gregorovitch, which we all had assumed was just a fake storefront located right next to Ollivander’s Wand Shop, is actually yet another full-fledged shop. It’s a complete mystery why Universal would want two of the same type of store next-door to each other – is this just an attempt at crowd control, or does it have something to do with those pesky interactive wands? We were all initially disappointed to learn that the Hogwarts Express won’t have randomized ride experiences a little while ago, but according to CFLTop5, it seems that Universal may have left that as an open option for later on down the road – perhaps during the third or fourth Wizarding World phase – to help prevent the attraction from getting stale. Several guests confirm seeing Al Roker of The Today Show filming at Universal yesterday, which gave us hope that we might have had a Diagon Alley announcement this morning – despite the fact that Universal said the live appearance of the TV show was canceled. Indeed, no announcement was made, but since Roker was in fact filming something at Universal yesterday, we’re bound to see it eventually show up on the air. Perhaps the Today segment will broadcast next Thursday or Friday, putting it head-to-head with Disney and the Seven Drawfs Mine Train press event? Agree or disagree with the latest intel? Think we forgot something juicy? Want to offer your own take on the wildest rumors? Well, then, join us at the brand-new OI Forums and tell us! What’s more, we’re celebrating our grand opening all throughout the month of April – meet our community and enter for your chance to win one of three $100 Universal gift cards! Here’s the grand opening announcement. Orlando Informer will be viewed over 10 million times in 2014, and among those viewers are some folks with pretty strong connections to Universal Orlando. As they contact us with insider intel, we collect their information and combine it with our own research to produce our weekly Rumor Round-Up. When information comes to us directly, we cite “our sources”; when information comes from outside our network, we always cite it as such and provide links to the original source. This is our 110th rumor post, and we’re proud to have provided our readers with compelling stories as we share our thoughts and actively promote dozens of other websites. Despite the excitement that can come with covering rumors, we ask our readers to be ever-mindful that, unless explicitly stated as fact, everything we cover here must be considered a rumor and unofficial. 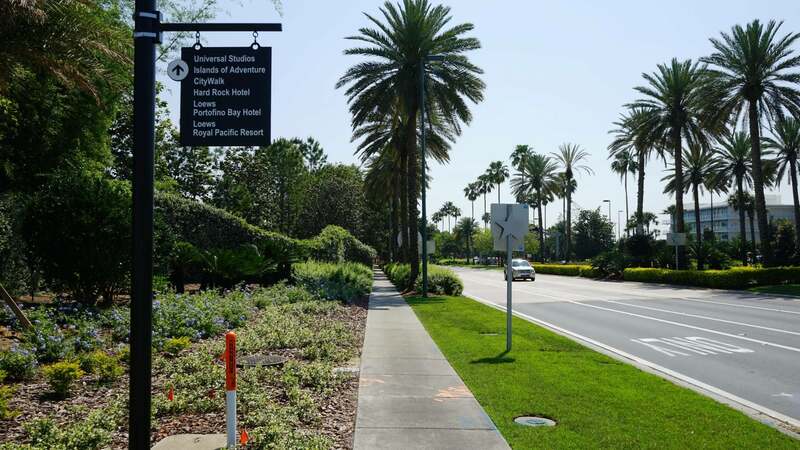 If you’re ever confused by what is what, we invite you to join us for free in the OI Forums, where you can ask our vacation planning community for clarification and seek advice for anything else regarding your plans to visit Orlando. There, Captain Action! Are you happy now? A new KONG land would be nice but they shouldn’t just scoff at there very profitable Jurassic Park brand. I felt that the Jurassic Park movies did a better job creating dino’s then King Kong did, EVEN when it came out over a decade later. It surprises me that the Jurassic Park expansion may be pushed back… I was hoping for a new ride or two, to tie in with the new movie being released in 2015! This may sound stupid but I wish they had a Harry Potter themed resort! How cool would that be! Great…. More Potter…. They might as well replace Kidzone with a giant Harry Potter kids playground, then the assimilation will be complete. disappointed to read there will not be a JP expansion. Surprising really given the new film is coming out. Perhaps they are waiting to see how successful it is? What about getting rid of Twister??! And also earthquake or disaster… Need new rides and experiences!!! Why did they have to put a halt on the Jurassic Park expansion?? I would rather them expand Jurassic Park than King Kong. 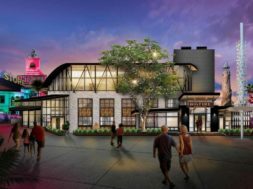 Sounds like Harry Potter overkill…..which means Universal will be raking in the dough. I like that they are constantly upgrading and improving, however. Please build some girl movies attraction. This park is almost for boys. Only boys movies!!!! Butter beer went up 75 cents =(. I wish the Barney show was staying. 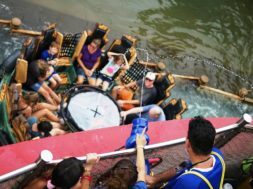 I know a lot of people don’t like it but there aren’t many attractions for really young kids and those with special needs. 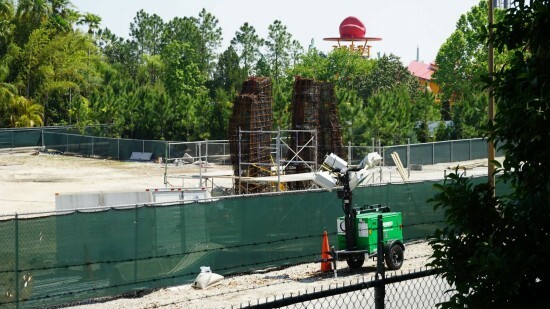 Be interesting to see if diagon alley will be open on HHH! Why are the getting rid of the Kid Zone that place is great for little ones? I know right. One of the most look forward to expansions and their stoping it. 🙁 Still im sure it will resume soon enough. Yes, I wish Universal would just quit building new attractions, just like WDW! Now E Ticket attractions in the last 10 years. Now that makes guests happy. That’s how you run a theme park! Could it be Lord of The Rings? Thank you! VERY cool. You are doing, and have, an awesome job. We’ll Ulrika, my daughter loves the Potter stuff, Seuss Island, girl super heroes at Marvel Island, ET, Animal Actors, Springfield, Despicable Me, Shrek, Hollywood Rip Ride Rocket, etc. Those aren’t really boy attractions. I know they have some boy stuff but one of my daughters favorites is The Mummy ride. Maybe the new area will be Spongebob? Yeah, the Jurassic Park Dino’s need a little love at the least. Could we got the Triceratops from the walk through moved to the outdoor water area where the boats enter? Urgh. King Kong over Jurassic Park? Not pleased with that. I really enjoyed the JP books and the Spielberg-directed movies! That’s my favourite themed land at all of Universal! King Kong doesn’t fit at Universal now; that’s why it went away before. Why bring it back now? I’d pay money that I don’t have to stay in a Potter theming hotel! They should do it…..
We need the JP expansion especially since new movie. I hope they don’t over saturate HP. The KidZone is brilliant. My little boy has physical disabilities and is a full time wheelchair user. One of his greatest pleasures in life was getting soaked in the Curious George zone. I hope they keep it. In my opinion, if ever there was a stale attraction at Universal, it’s the E.T. Adventure. Seriously time to close that one down for something more current. What about Rio, or a tropical rainforest theme? I just want to say thanks for all you do. You do a great job! King Kong was a very popular attraction in the 90’s. A lot of my family members didn’t even know that its shut down and replaced. I really don’t know if I wanted a JP expansion anyways. 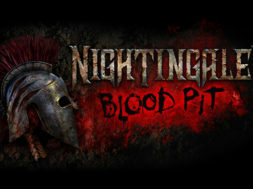 I like to experience new things from other franchises. It’s really time E.T. Should get a replacement. When will Universal announce the closing date this summer? Hey Marc, it’s Friday. How’s it going? Marc hey it’s jade if kidzone gets bulldozed for good is E.T. finally closing this fall..? No — it won’t be closing for a LONG time yet. Rachel, one of the castmembers said that Spongebob was a good possibility to replace this area. He thought that since they had all the water in place that he heard a water area from Spongebob would be more popular today. Universal could do some in depth theming, water elements, restaurants and food, etc. from Spongebob. I hope whatever they do wiil be great for your son as well. BUT PLEASE UNIVERSAL ITS TIME FOR E.T. TO PHONE HOME FOR THE LAST TIME. PLEASE CLOSE IT DOWN THIS FALL!!! I’m really excited about King Kong since it will be a new experience instead of just constant Harry Potter. Have to admit though after seeing it today; I’d love to see a Godzilla attraction. Jurassic Park is NOT going – in fact the opposite. It is being expanded! King Kong / skull island is to be situated between Toon Lagoon and jurassic park – so the two worlds will blend together. WHEN WILL UNIVERSAL ANNOUNCE THR CLOSING OF KIDZONE…!!!!!??? ?